We work hard to have our hair look amazing all-year round, but winter tends to take a toll on our hair. Now’s the time to combat the harsh effects that the cold weather has your hair. Between cold temps, snow, blustery winds and ice along with the dry, indoor heating, means a dehydrated scalp and dry hair. 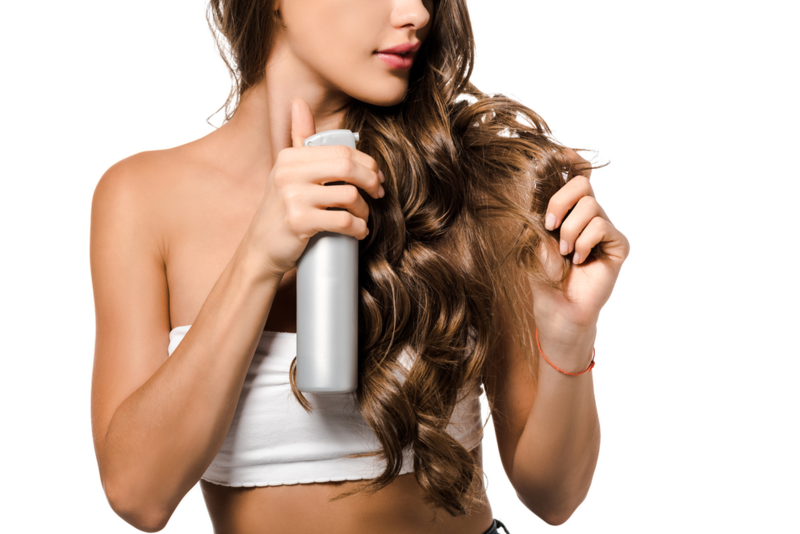 Thankfully, there are ways to keep your locks healthy with a regular hair care routine. Minimize the hair washing. Limit yourself to only 2-3 times a week. It prevents your hair from drying out in the cold. It also shortens the time that the heat from a blow dry or styling tools that are needed to dry and style your hair. Use lukewarm water. When you do wash your hair, using lukewarm water will prevent it from drying out as hot water does. A blast of cold water at the very end will help close the seal the hair cuticles. Invest a sulphate-free shampoo. Sulphate can cause problems with hair. It strips beneficial oil, damaging the hair. Use high-end products such as Redkin, that is sulphate-free and protects your hair instead of damaging it. Choose your conditioner wisely. A thick, rich conditioner with fatty acids and humectants will help attract and retain much-needed moisture in your hair. Use a heat protect spray. When you do use heated styling tools, the best way to protect your hair and in the best shape is by using a good quality heat protect spray. Skip the ponytails. Wearing your hair in a tight ponytail can cause breakage. The best is to wear your hair down as much as possible. If that isn’t always an option, try wearing your ponytail at different heights each time to avoid too much pressure in the same area. Practice a healthy diet. When you eat foods that are rich in natural oils, minerals, and vitamins will help to keep your hair healthy especially in the winter. Make sure your diet is enriched with Vitamin C, A, E along with iron and selenium. These can be found in fresh fruit, vegetables, meat, fish, and nuts. They help to boost your immune system and damage repair that is done to your hair in the winter. There are also regular things you can do like run a humidifier to help with the dryness indoors, wear a hat when it’s freezing temps outside to protect your hair, and keep hair healthy with regular trims to get rid of the dry ends. Let us help you keep your hair healthy-looking, moisturized, and supple this winter. Make an appointment today at Amanda Maddox Salon. You can find us at 129 S. Forest Park Blvd, Knoxville, TN, or call 865-673-0022. Easily keep up on those frequent trims by using our online booking tool, or try our mobile app, available for a free download at the App Store, Google Play, and Amazon.